Connect with a cat in need while making a lasting investment in his/her future. RAVINE CATS are a managed feral colony living in the wilds of Los Angeles, situated at an intersection of city, county and state lands. Lately, we've become concerned about our old age, medical care, and ensuring a steady food supply. While not above begging, we wish to control our own destinies and provide for our retirement, through offering you products we're sure you'll find of value. 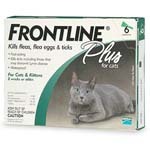 You can help by purchasing your regular pet items from our SECURE online store. We offer a broad line, including flea products, toys, beds, carriers, training crates, treats, supplements, and cleaning items. 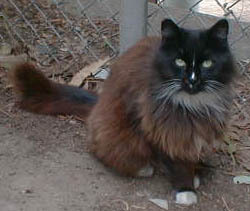 The feral cat caretaker is the direct lifeline to feral cats and kittens. They offer them the right to life and provide the solution for humane population control, and long-term managed care. We've tried to select the best Articles, Links and Resources for you. Please CLICK HERE to visit our extensive Articles page. Copyright � 2013 by Ravine Cats. All Rights Reserved.